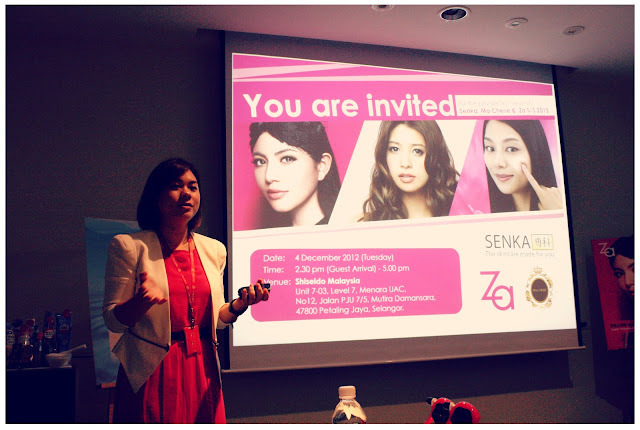 Shiseido Malaysia did their very first exclusive bloggers preview session of what's coming in year 2013 at their Shiseido office. Me and the other 9 female bloggers got chosen to be one of the few female in Malaysia to get the first hand news of those exciting products line-up before they pop up in the current market. 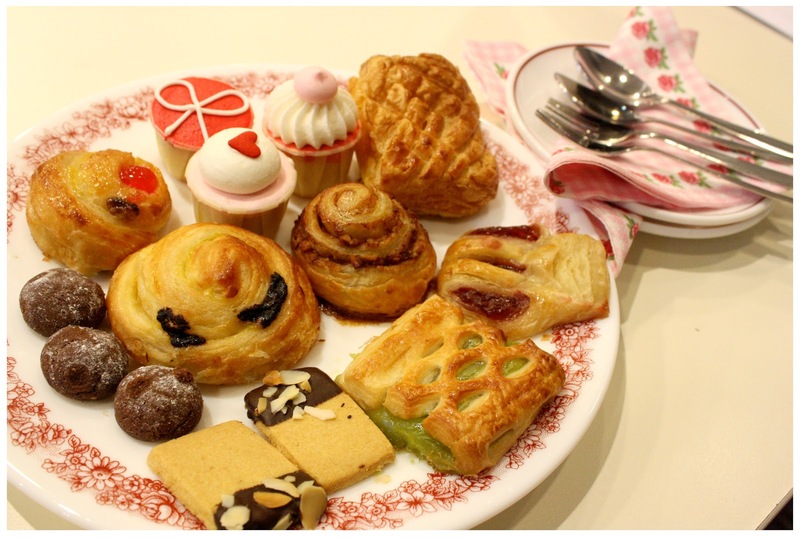 The brands that are releasing new products are Senka専科, ZA and the brand I've been waiting all my life - Ma Chérie. What you're gonna see next, is very exclusive(at that time) and nobody, I repeat, nobody, not even the media knows about this! 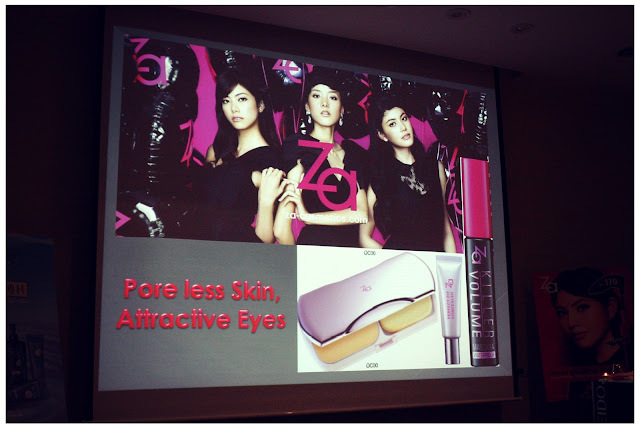 Thanks to Shiseido Malaysia for such privileged information. 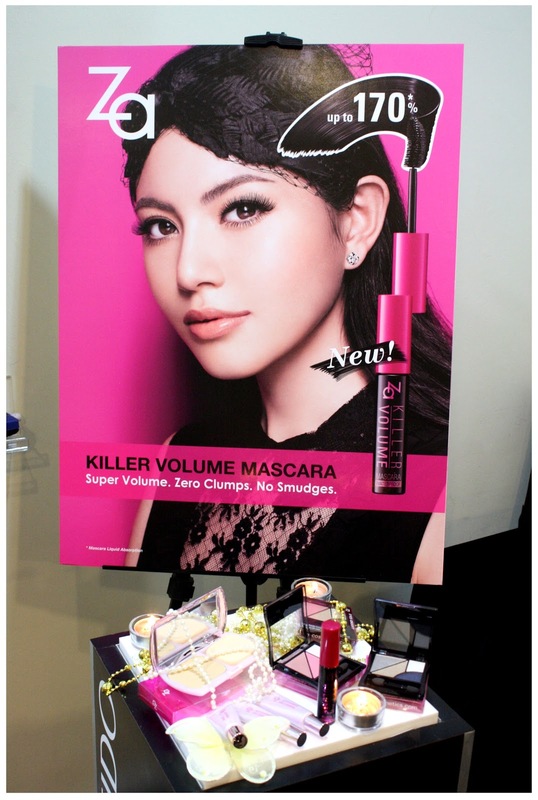 As what I mentioned in the title, the 10 of us are literally the 'Princesses of Shiseido' that day. At least it makes me feels like I'm being pampered in champagne, flowers, cupcakes and I feel dreamy all the time. Haha. That's one prettiest napkin I've used. Sparkling champagne for us. 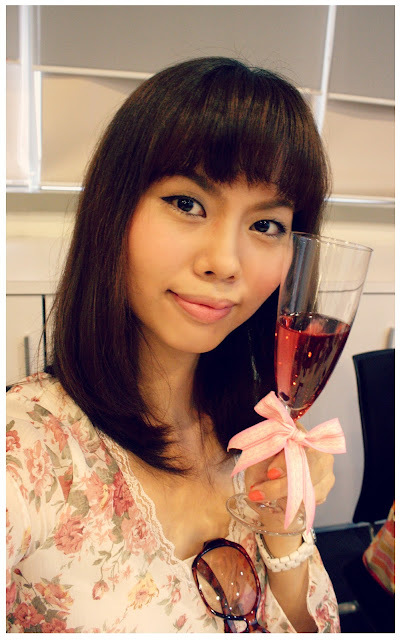 Keep on refill because it's so tasty~ Same champagne smell as Ma Chérie's products! It doesn't feels like a blogger preview session, but more like friends gather together and have a high-tea session. Had some really enjoyable 'girls talk' with Ms. Jo - who is the presenter of that day's preview session of products from those aforementioned brands. Before the preview session begins, snapped some pics of the products. They are all nicely arranged, too waste for not snapping a few more photos of them. The high quality and high efficiency products from Senka that suits modern urban women. 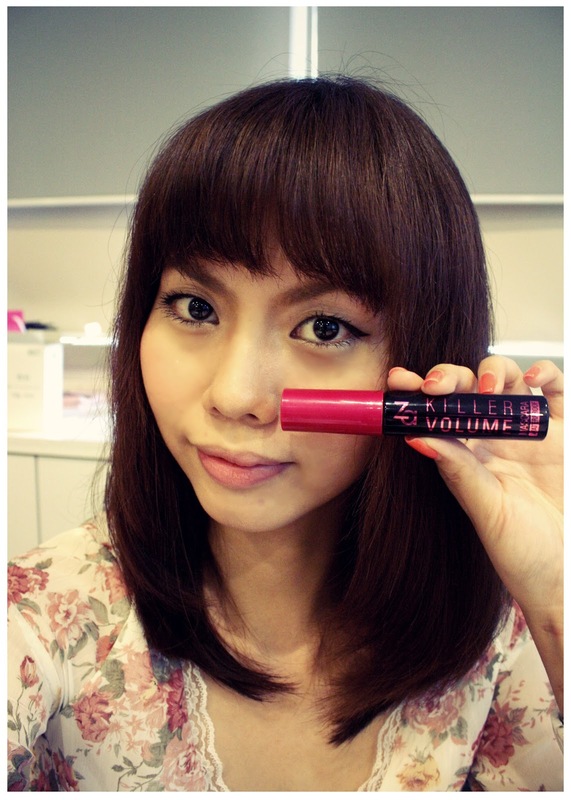 One of my favourite make-up brand! The collection that you don't want to miss. OH MY OH MY! MA CHÉRIE IS GONNA LAND IN MALAYSIA SOON!!! 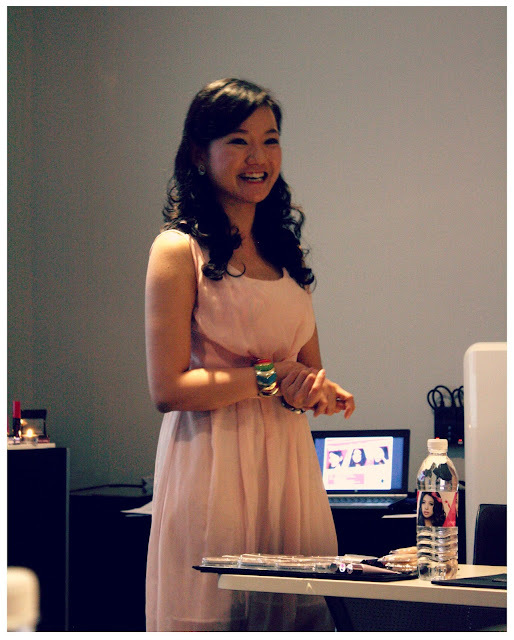 After the girls talk, eat, drink, snap pics and feeling wowed with every lil girlish and cute details we find in all the corners of the room, the preview session finally kicked start with Tsi Ying, PR of Shiseido Malaysia giving introduction of what to expect that day. This is Jo, the presenter of the day. Firstly, we start off with Senka. 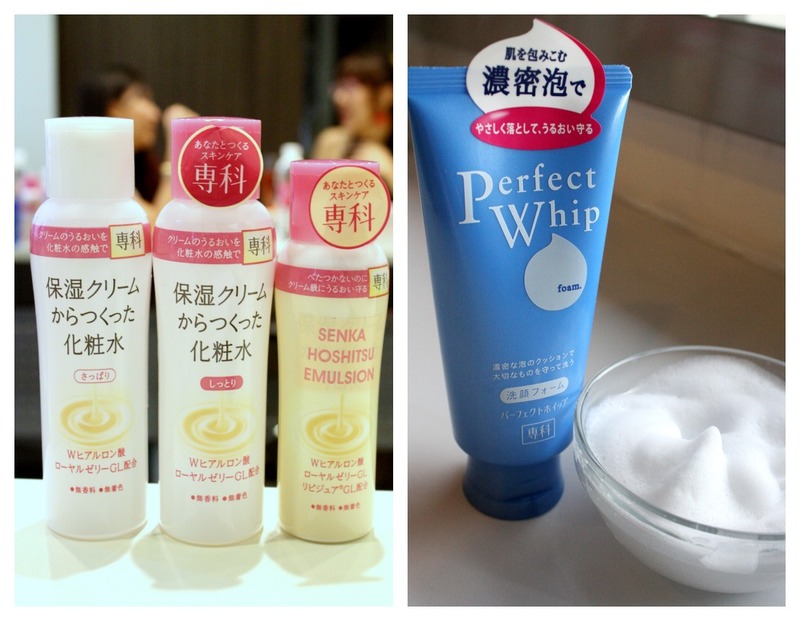 Senka(専科 in Kanji) which means expert in a field, is a range of skincare which developed with their users in mind. They have their own laboratory in Japan and they're constantly in research of what women nowadays need. They understand the importance of quality skincare especially those we use daily. High quality products at an affordable price, and good news is - They are now available in selected Watson's store! 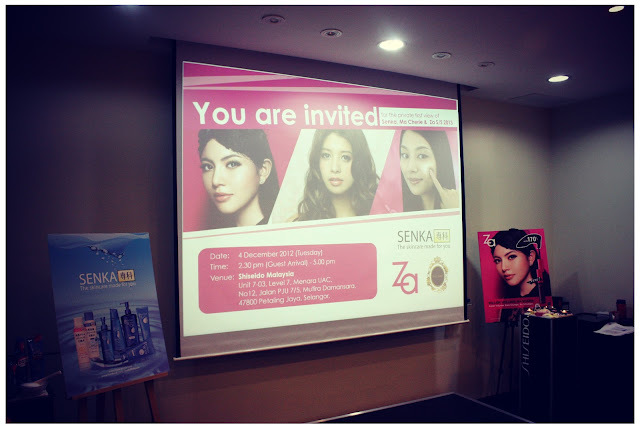 The ever pure and cute Aoi Miyazaki is the brand ambassador of Senka! 1) We will thoroughly research and identify your needs. 2) We will create innovative products by adopting a fresh development style and applying advanced technology. 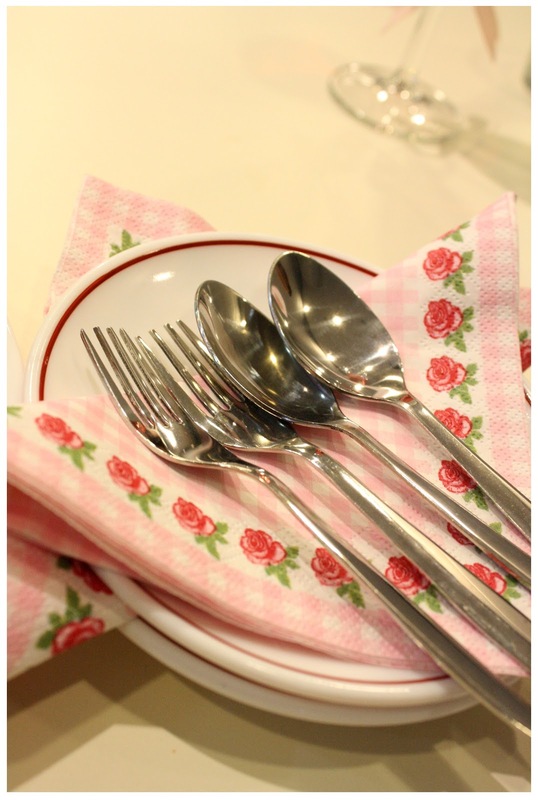 3) We will sell only safe and trustworthy products made in Japan. 5) Our products will be kind to the environment. 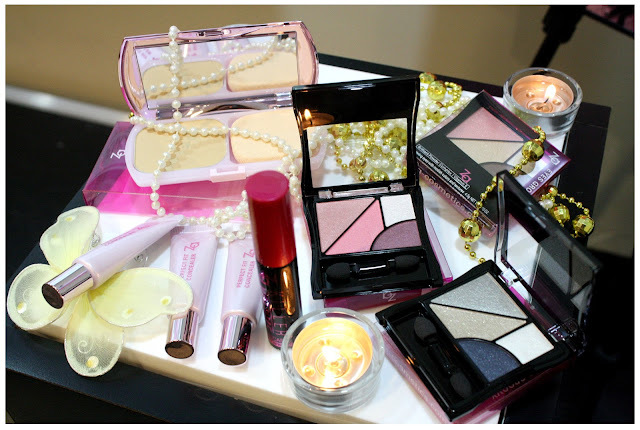 These are exactly what modern, busy women wants in their skincare don't you think so? Simple and effective. 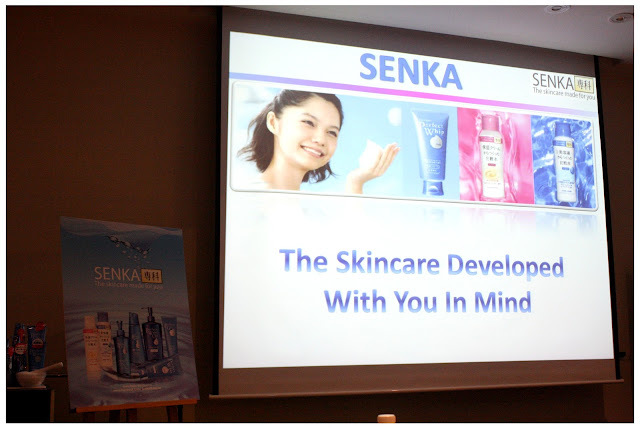 Senka offers two ranges of skincare to target each and every users need - Moisturizing and Whitening, and another sun care range (which will available next year) as well as cleansing range. 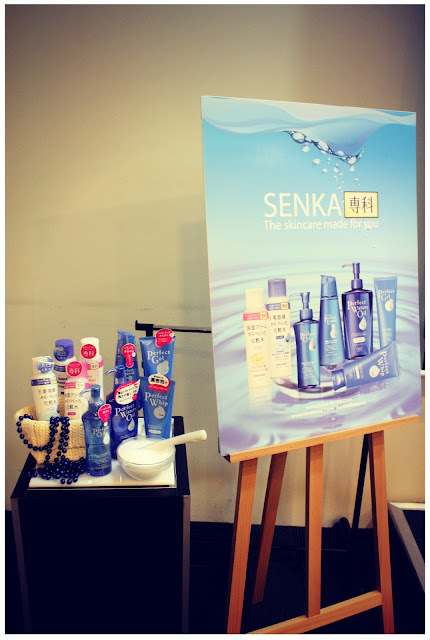 For Senka's cleansing range, it has everything you need - from foam cleanser to oil to gel, just name it! Not to mention, they are all available in a reasonable price. For Senka's Whitening range, they are developed with special whitening serum and Senka original technology which ill saturate skin with intense whitening and at the same time, your skin will stay hydrate. The whitening ingredients will be deliver to the deeper layers of skin using Senka's Micro-Moisture manufacturing process, giving users a more efficient result after use. 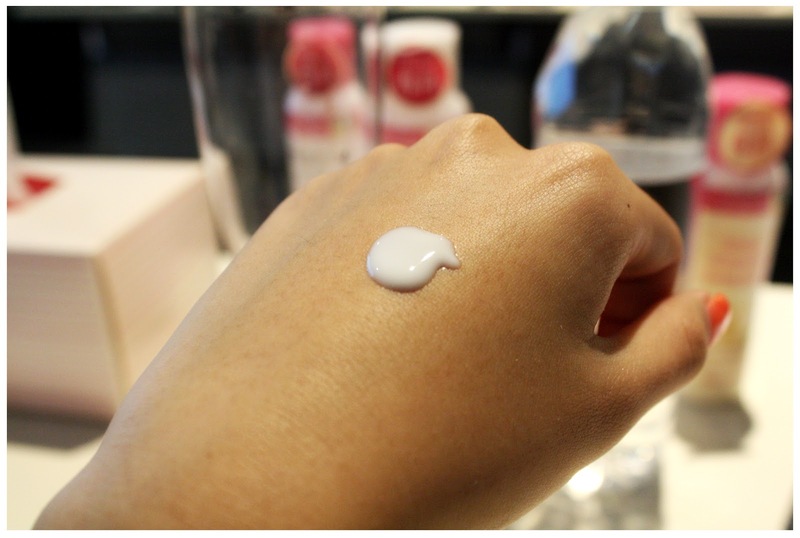 Skin looks brighter, dewy-fresh with a clear translucent finish. Contains Vitamin C, Double Hyaluronic Acid and Royal Jelly GL to sensure skin is spots and freckle-free. 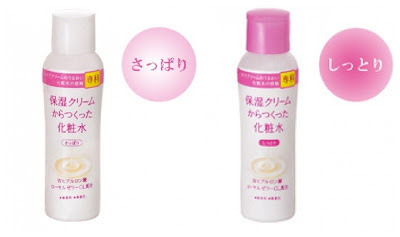 The moisturizing range products of Senka comes in pink colour called Hoshitsu line. Hoshitsu(保湿 in Kanji) which means moisturizing, is a lotion which continuously and effectively moisturizes skin. They are also developed with the Micro-Moisture Manufacturing process shrinks hydrating elements down to the micro level and constantly provides creamy moisturizing and hydration capabilities. They are available in Fresh and Rich type as well. Contains Double Hyaluronic Acid and Royal Jelly GL which gives skin smooth and dewy quality at the same time, retains skin elasticity. The amount of foam that can be made from Perfect Whip foam cleanser is just crazy that I literally got my whole hand covered with foam *happily playing with the foams*. The foam are so gentle, soft and creamy it will get rids of impurities in the pores while still protects your skin's moisturizing properties. After wipe the foam of from my hand, it doesn't have the tense feeling at all, so soft and delicate my skin has became. Senka has found out that most of the cleansing foam strip off the moisturizing properties off the skin leaving skin feel tense and dehydrated after wash, it has develop this dense foam cleanser which not just fine, but dense as well so it can penetrate skin's texture grooves and remove impurities from the pores while maintaining skin's natural moisture. 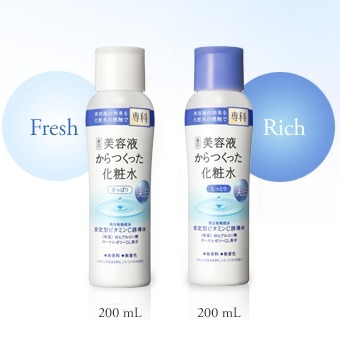 The Hoshitsu Line skincare range helps lock in all the essential moisture of skin via the Micro-Moisture Manufacturing process. After applied the lotion and emulsion on my hand, there are not a bit of sticky feeling but moist skin. They are absolutely fragrance-free with no artificial colors added into the ingredients and they are also allergy-tested as well. Spring Summer 2013 of ZA's collection enhances the femininity in its users as they are releasing their all-new Killer Volume mascara (FIERCE!!! 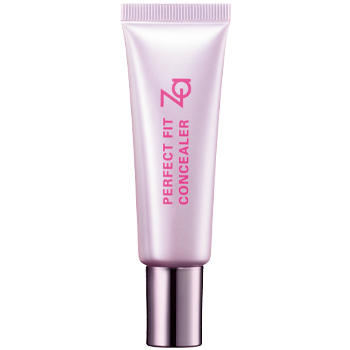 ), sweet shades pf Eyes Groovy and Lip Drops and of course, not forgetting ZA's highly rated Two-Way foundation and concealer in their Perfect Fit collection. Forgot to take photo of the concealer, googled it instead. 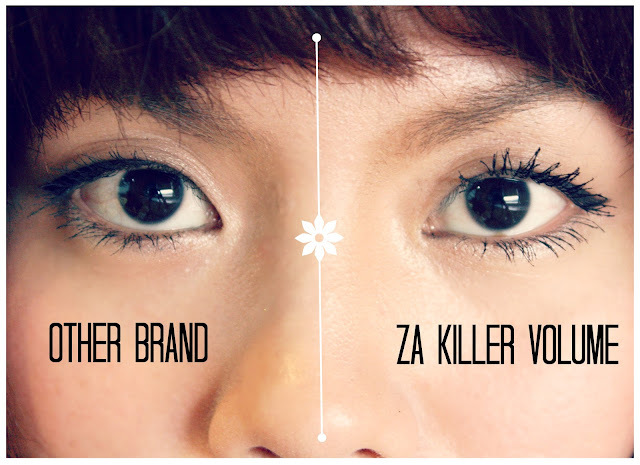 Next, I try on their Killer-Volume Mascara. The name says it all: Killer Volume, the volume of your eyelashes that kills the heart of your man (or yourself lol). Packaged in stunning Black and Hot Pink tube. Needless to say more, see the result for yourself. 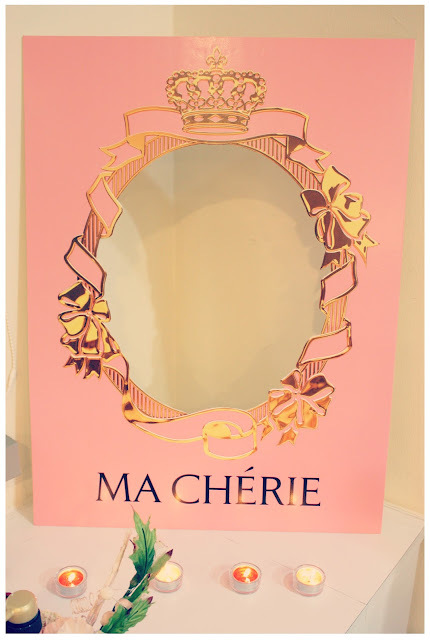 Ma Chérie, which means 'My sweetheart/my dear' in French, is an unique Japanese hair care brand that makes every girl feels like a princess. 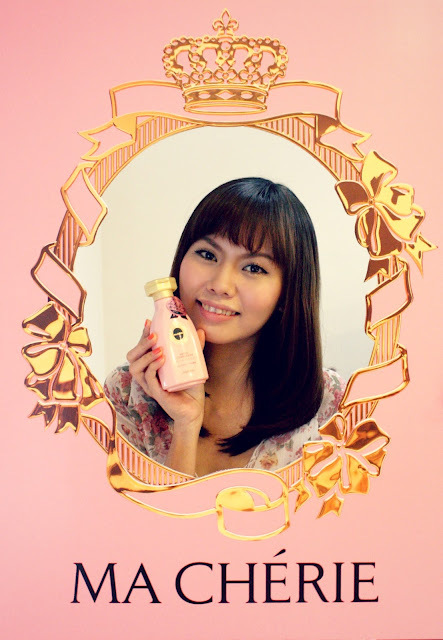 It is made for women who like high quality hair care products but at the same time, enjoys pampering herself as well as beauty-conscious. Available in two full haircare ranges - Air Feel and Moisture, with one hair styling range, they are formulated with four signature ingredients: Honey, Champagne, Hydroxyethylurea and Inositol that gives our hair abundance of moisture. 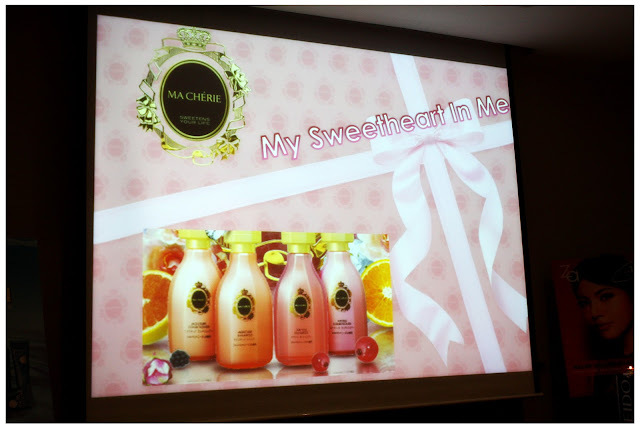 Ma Chérie's signature fruity and floral aroma really brings up the sweet and romantic feeling in me and immediately after we test the products, the whole room is filled up the signature French-Romance-aroma. We're all princesses that day. Ma Chérie's hair oil is a light-weight oil type leave-in conditioner which provides high concentrations of essential oils to hair strands, which protects our hair from heat and friction caused by styling tools. My hair looks so smooth and shiny with no tangling at all after I apply it. 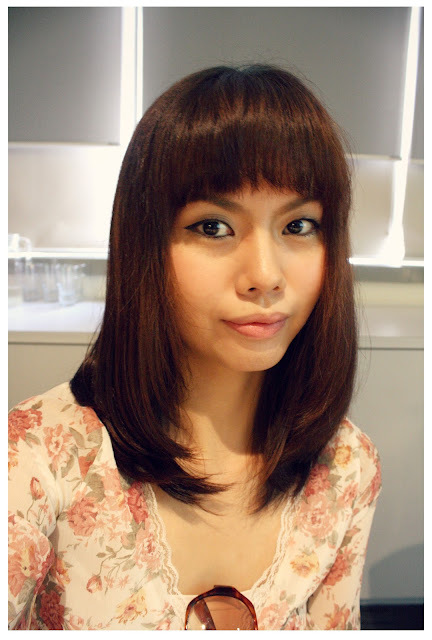 As you can see in the photo above, flyaway hairs are so visible at the side which I didn't apply the hair oil isn't? Can't wait to get all the Ma Chérie products next year! Such a long blog post and I'm not a bit sorry for it because I introduce so many nice stuff for you! LOL! Be sure to check out Watsons and other stores often starting January(Senka is already available now! Go check it out!) to get your hands on all these superbly awesome skincare, haircare and cosmetics products offered to you by Shiseido Malaysia! Thank you Shiseido Malaysia for having me as one of the exclusive bloggers to this sharing session, I enjoyed the day being pampered in fruity-floral scents and feels like a princess!